Tax news, personal finance, and more! Can I Still Claim My 2015 Refund? The window is closing to claim your prior year refund. Luckily for you, this is the last year to claim your 2015 refund. However, you can only claim your refund if you fit within the time-frame of the IRS’ Statute of Limitations. You have three years from the original tax deadline due date to claim a refund for your tax year. Read on to find out what you need to do to claim your refund. Can I still e-file my 2015 return? 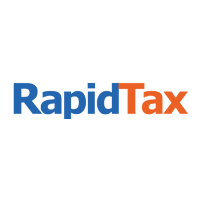 The tax deadline is April 15, 2019! For residents of Maine and Massachusetts, they have until April 17 to file their 2018 tax return. Here’s some important information you need to know for filing by the tax deadline. 1. You need to report ALL of your income. If you don’t report all of your taxable income; all income that is subject to withholding; you will need to amend your return using Form 1040X when the IRS gets a hold of your information. Not only that, but you may even end up owing money back to the IRS. 2. You can file without a W-2. The IRS has announced the start of the tax season! Last night, the IRS confirmed that January 28, 2019 will be the start of the tax season. Although live assistance from the IRS number isn’t available, their staff is determined to keep the tax season going. “We are committed to ensuring that taxpayers receive their refunds notwithstanding the government shutdown. I appreciate the hard work of the employees and their commitment to the taxpayers during this period,” IRS Commissioner Chuck Rettig said. Now that you have an idea of when you should have your 2018 tax return prepared by, here’s what you need to know. Will my refund still be delayed?